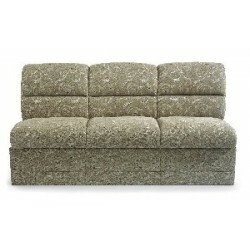 Jacknife sofas are similar to easy beds. These sofas offer a shorter seat depth thus a shorter sleeping surface. Jacknife Sofas come with legs for mounting to the floor or legs can be removed (legs are 11" high) t..